In 2007 our co-founders Tim Hancock and Adam Raspison created Atelier 3 having worked in other Architectural Practices both nationally and in Cornwall. They wanted to create a Practice that could offer Architectural Services in Devon and Cornwall that are affordable, accessible and creative. Since 2007 our portfolio has grown and so has our team; Atelier 3’s strength is the team. We consist of individuals who all uniquely bring a wealth of expertise, experience and creativity. We collaborate in regular in house design team meetings and work in an open office where we creatively and technically critique and enrich projects. This dynamic approach means that your inspiration and vision are shared throughout the team regardless of which stage your project is at. We offer a balanced approach to projects with technical competence, design ability and importantly a professional architectural service. We consist of members of the Royal Institute of British Architects and the Chartered Institute of Architectural Technologists in Cornwall. Atelier 3 also supports ‘Shelter, the housing and homeless charity’ by annually taking part in the national program ‘Architect in the House’. As architects and designers we need to keep up date with technical advancements and changes to legislation, we achieve this through a CPD program and a zest for knowledge. Tim Hancock and Adam Raspison steer the team and philosophy of Atelier 3. Since 2007 we have grown a little and we think it’s important you meet the rest of us. It is rather brave putting our photos up on the website but we feel it is nice for you to put a face to a name. 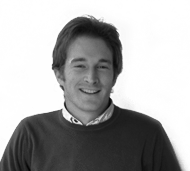 As a Chartered Architect Tim is passionate about affordable design and achievable architecture. He has worked for large Architectural Practices in the Midlands and multi-disciplinary architects practices in Cornwall before founding Atelier 3 with Adam. 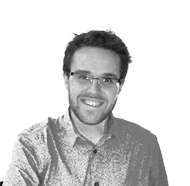 Tim brings a huge wealth of experience to the practice in master planning, planning policy and leads the creative design. Tim is a former Royal Institute of British Architects South West Region Chairperson and former RIBA Cornwall Branch Chair. He has also been a member of the Design Review Panel for Cornwall Council. At the weekends, you are likely to be following Tim and his family in their red 1969 VW camper driving the lanes of Cornwall. Adam is a founding partner of Atelier 3. 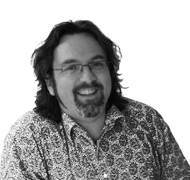 He is a Chartered Architectural Technologist and is involved with projects from concept through to completion. Adam works closely with Tim and the team to maintain the creative vision and co-ordinates the technical and construction phases of projects. In his free time you will most likely see Adam tearing up the tarmac on his push bike. Jane joined the practice in 2015 as a Chartered Architect, having worked previously for practices in Wiltshire, Devon and Cornwall. She is also currently Secretary of RIBA Cornwall Branch and is a Trustee of The Cornwall Architectural Trust and on behalf of the RIBA provides Design Training workshops and seminars to Cornwall Council. Jane is interested in historic buildings and has a Masters in Architectural Conservation, as well as being listed on the RIBA Conservation Register. Over the last couple of years she has been involved in Neighbourhood Planning and has an interest in Urban Design and Masterplanning. In her spare time she likes to travel, plays badminton and enjoys baking. 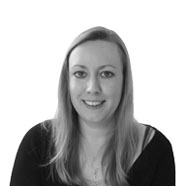 Dean joined the team in 2010 having been working in Architectural and Surveyors practices since 1997. Dean is an Associate member of the Chartered Institute of Architectural Technologists and a fanatic biker often turning up to sites in his leathers. He is an integral member of the team who works to great precision whilst maintaining his chilled-out demeanour. Paul joined Atelier 3 in 2017. Prior to this he has spent most of his career working with a family firm on projects varying from conservation, for the National Trust and English Heritage, to bespoke new build projects with local Architects. 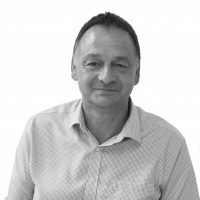 He therefore brings a wealth of technical experience and construction knowledge to the practice and is a previous recipient of a Cornish Building Group Award for a restoration project in 1999. He is an Associate Member of CIAT and an Incorporated Member of CIOB. Paul grew up in North Cornwall and in his spare time he enjoys golf as well as boating and fishing on the Camel Estuary. Sue joined the team in 2013. She is our valued Office Manager a role in which she held at a well known Structural Engineers for a number of years. Sue is the first point of contact at Atelier 3 and works closely with the design team. 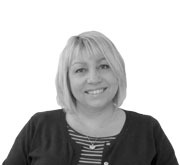 Sue ensures the smooth running of projects by organising meetings and consultants, in addition to the day to day running of the practice. You'll most likely see Sue walking the footpaths of Cornwall with her dog Molly. Want to follow Atelier 3 on Twitter?